Dates for next year’s hugely anticipated Scampton Airshow have been confirmed and tickets are now on sale. Lincolnshire’s new airshow at RAF Scampton will take place on September 9 and September 10, 2017, at the home of the Royal Air Force Aerobatic Team – The Red Arrows. Tickets are now on sale for next year and are priced at £39 with all under 16s able to enjoy the airshow free when accompanied by an adult ticket-holder. 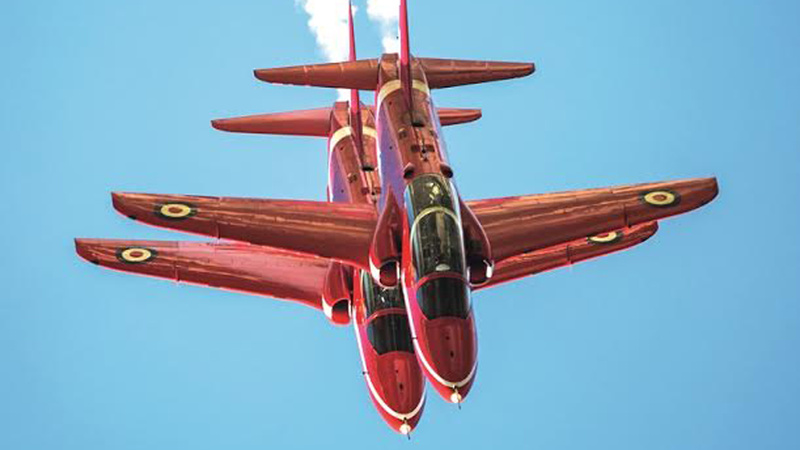 Will you be going to next year’s airshow at RAF Scampton? The event, which aims to raise funds to support the RAF Charitable Trust, will have two family days, each featuring a five-hour flying display showcasing aircrafts from around the globe. Airshow Director Paul Sall said that whilst it was too early to announce participating aircraft there was one display team he felt confident would star at the airshow. He said: “When looking at which exciting flying display participants we’d like to see featured at next September’s inaugural Scampton Airshow the Red Arrows naturally come top of our list. On the ground, visitors will be swept along on an aviation journey through the ages, from a nostalgic Vintage Village, through to interactive and engaging exhibits from across industry in the Techno Zone. There will also be the opportunity to learn about the modern-day Royal Air Force in the RAF Village where serving personnel will be on hand to give an insight into the many roles they perform. Those looking to attend the show should note that tickets can only be purchased in advance via the website.